Learn how Digital Downloads work - here. Head up your own football team and shoot for the top! 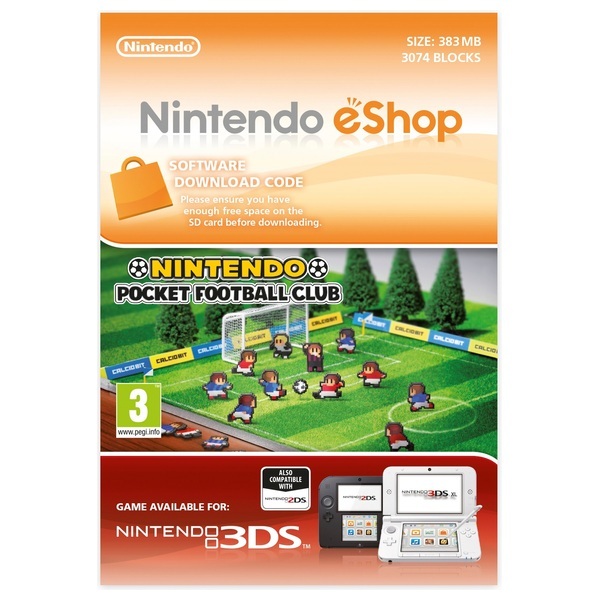 Nintendo Pocket Football Club puts you in the managers seat at your very own football club, only on Nintendo eShop on Nintendo 3DS. Can you keep the crowds chanting and guide your pint-sized players from the lower leagues to the wonders of the world stage?